With the weather going a bit schitzo on us lately here in Ireland, I thought it’d be a good idea to get you all prepared for the sunny days when you just want to lie out in your back garden and work on your tan! Or if you’re going on your hols (you lucky thing, I’m well jell!) you’ll do well to pack these in your suitcase. 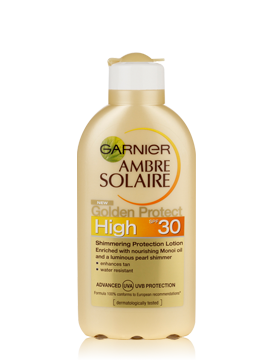 We know a lot more about sun protection these days than we did years ago so there’s no excuse not to be protecting yourself from the suns harmful rays. And besides sunny days, you really should get into the habit of using a sunscreen every day to protect your skin from premature ageing and the products below make it easy to do that. As that weird song goes, if I could give you one piece of advice, it would be to wear sunscreen! I often think, if only I could go back to my teenage self and stop myself slathering every square inch of my skin in baby oil while sunbathing , I might have less fine lines on my face than I do right now! 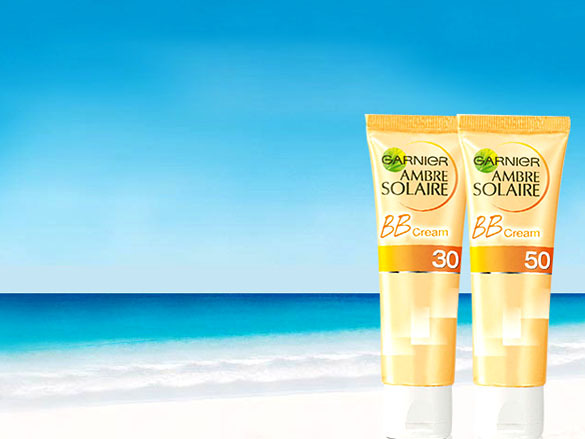 Garnier now do a BB Cream for your face that contains a sunblock in either factor 30 or 50 which is perfect for protecting sun sensitive skin as well as avoiding premature ageing and giving you a bit of colour and a glow, how ingenious is that?! They only come in one shade so you would need to have a bit of a tan with but you can wear it sheer or layered for a bit more coverage and it’s easy to remember to apply it every day if you would normally be wearing makeup anyway. 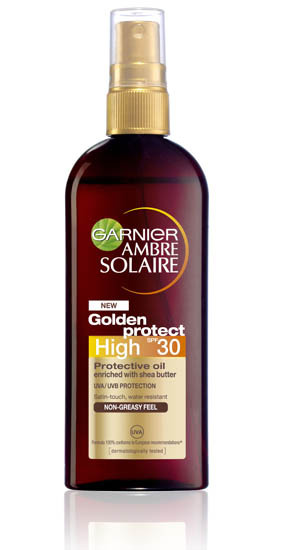 I have serious love for BB Creams during the summer so will defo have this in my summer makeup bag. 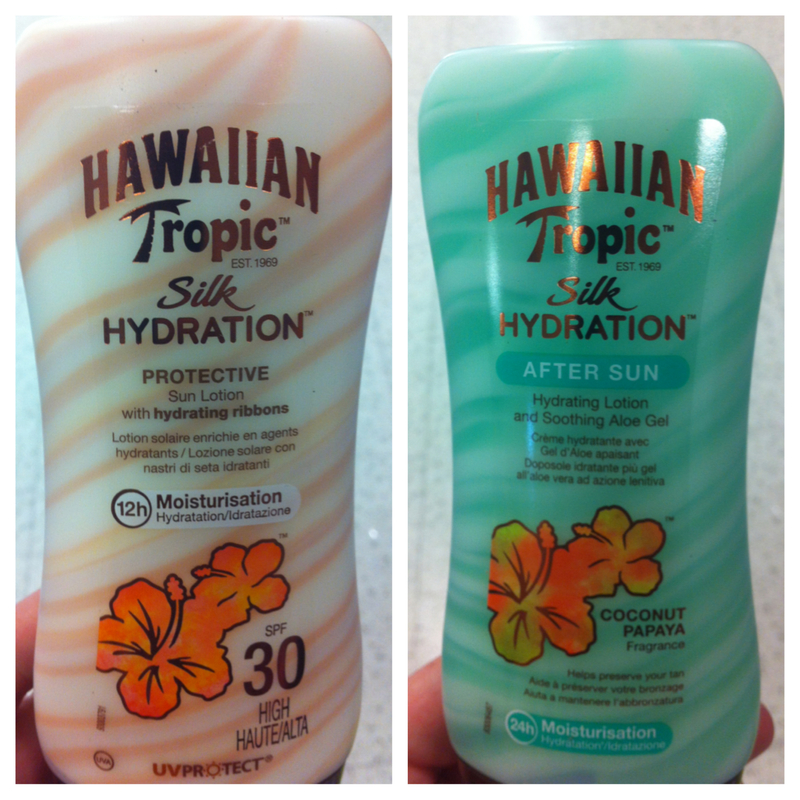 I love Hawiian Tropic sun creams, they always smell lovely and just remind me instantly of lounging on the beach somewhere sunny. 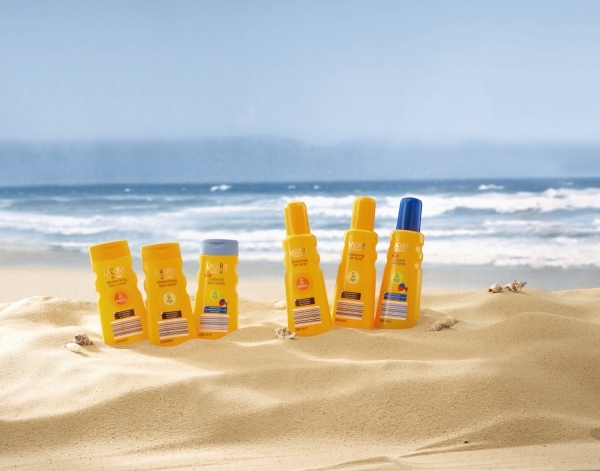 I really love their latest offerings of hydrating suncreams and aftersun lotion that moisturises your skin as well as protecting it. They range from Factor 15 to Factor 30 and have full UVA & UVB protection The lotion applies really light and feels more like a regular moisturizer than an actual suncream so it’s easy to just lash it on and go about your business. The aftersun has cooling Aloe Vera and is perfect for soothing your skin if you do manage to overdo it a bit but using this will also keep your skin moisturized and stop the dreaded peeling. Both smell unbelievably amazing, I can’t even tell you, and for that alone they get a huge thumbs up from me. I’ve been lusting after this bronzer for a while now but the price at €25.95 kind of put me off so recently, on a post pay day trip to Debenhams, I decided to treat myself. The Bronzer comes in a huge compact with nice big mirror in the lid and you can choose from 4 different colours, I chose #94 Matte Tan but it also comes in a more shimmery finish if that’s your thing. 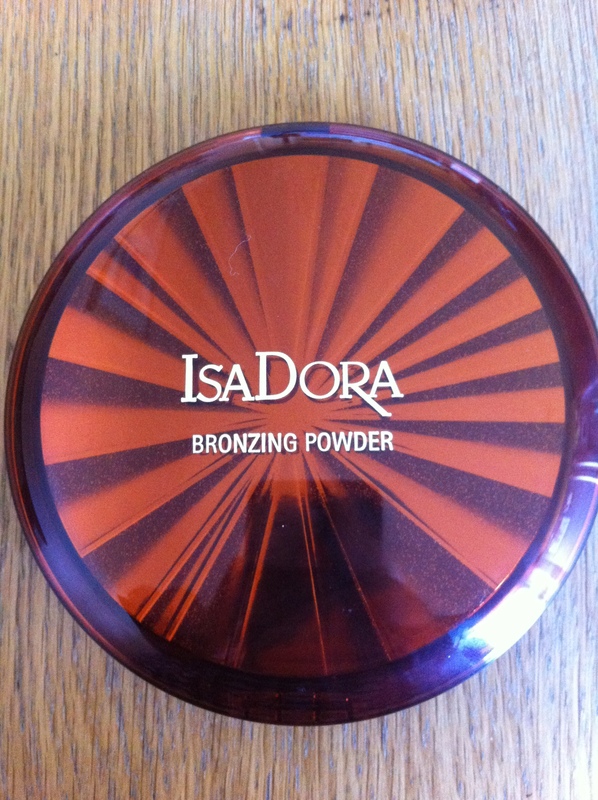 IsaDora states that it is a: “Richly pigmented large bronzing powder for a fresh sun kissed look” and I’d have to agree with that, the colour is natural and goes on flawlessly and even – once you use the right brush. Its size – It’s fecking huge!! There’s a generous 35g of product in the compact – it’s roughly about the same size as a CD so this is going to last you for ages! The price – For the amount of product you get, it’s well worth it. A MAC bronzer at €21.50 for 10g of product seems way overpriced in comparison. The colour – Very nice and natural – you won’t look like you’ve been tango’ed! 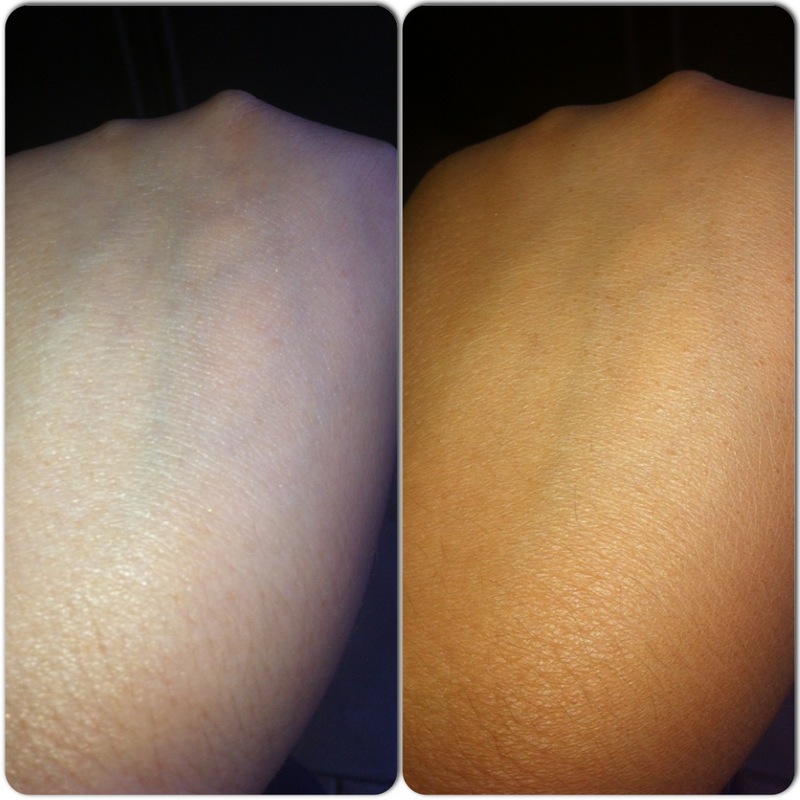 This will work well on paler skintones with a light tan. And because it’s a Matte formulation, it can be used for contouring the face. Plus it comes in a good range of colours, from light to dark, to suit everyone. Can be used all over – Not just for the face, you can use this on your body too if you use a larger brush. Gives some of the more expensive ones a run for their money – Forget your Guerlain, NARS & Benefit bronzers, this is the one I’ll be sticking to in future. Its size – It’s my blog and I’m allowed to contradict myself ok?! 😉 No but really, the fact that it’s Ginormous means that you can’t exactly toss it in your bag and go. Although they also do the smaller regular sized bronzers too which is handy but means you have fork out for another compact. The fear of dropping it – The risk of having that “NOOOOOOO…..” moment that sees your beautiful bronzer slip from your butter fingers (in slow motion obviously 😉 ) and smash to a million pieces on the floor while you stare in disbelief trying to figure out whether you could salvage the larger pieces and still use it. It’s a very real possibility, especially for a klutz like me. That’s it really. 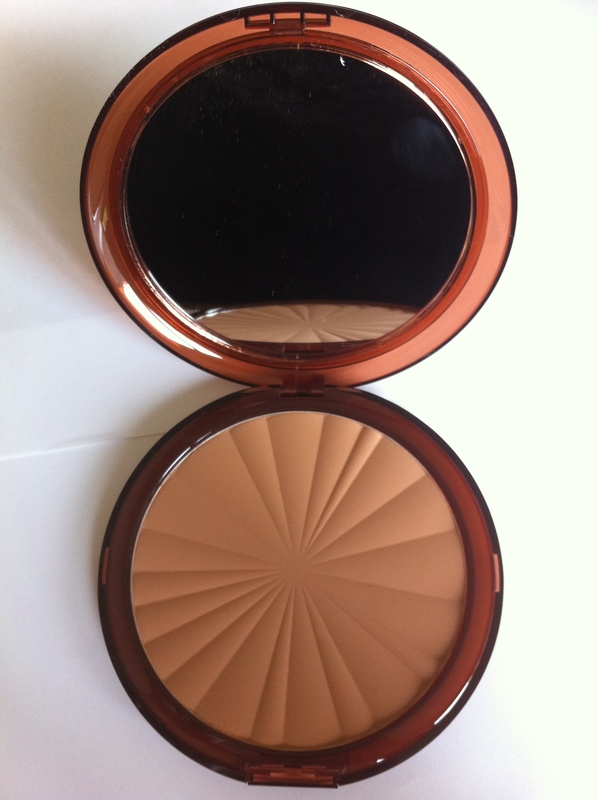 I’m loving this bronzer at the moment and I’d definitely recommend it so go and buy it while the sun is still out! I see too many girls going crazy with the bronzer and they end up looking more like they’ve been washing with mud than achieving a sunkissed glow. Remember bronzer should be applied with a light hand as it’s the one part of your makeup that if you apply it wrong, there’s no going back! So better to use too little than too much. You should dust it lightly on the temples, nose, under the cheekbones and lightly on the neck/chest for a natural look. Applying all over the face & neck in a series of swirls is not the most flattering way to wear bronzer.